Apartheid. Nelson Mandela. Safari. Violence. 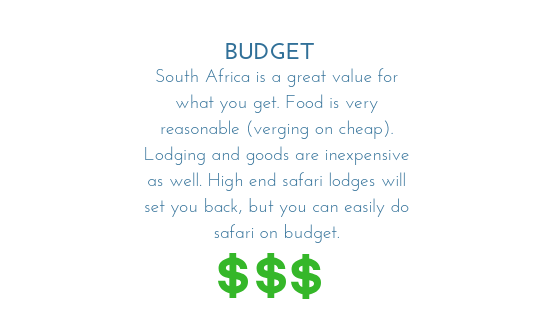 These are likely all thoughts that come to mind when one thinks of South Africa. Yes, this is an incredibly complex place. But the rewards for engaging in its complexity are immense. Johannesburg can be rough but it’s also incredibly vibrant and beautiful with more trees than you would possibly imagine this city to have. You absolutely need to have your wits about you when you are in the city, but the suburbs provide a unique retreat from the hustle of the downtown areas. The countryside is hugely variable ranging from mountains and gorges to desert and oceanside beaches. The wildlife is legendary and so is the beauty that is Cape Town. There’s so much to see and do in South Africa, that one cannot possibly think it can be described, let alone seen, in one visit. This country is going to take a long time to explore and understand. But we’re so intrigued by what we’ve seen that we’re ready to come back and experience some more. 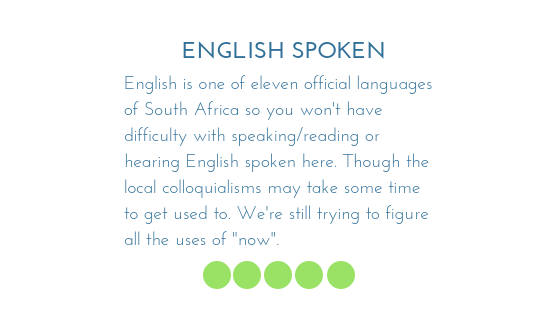 Read, see and hear more about what we experienced in South Africa. Our Cape Town food tour with Pam was special for a number of reasons, but mainly because nobody knows Cape Town like she does. We were totally entertained and educated and fed throughout the day. One of the best food tours we’ve taken. Do you ever feel that you are being punked? Like a situation is so damn odd that you look around for some hidden cameras? 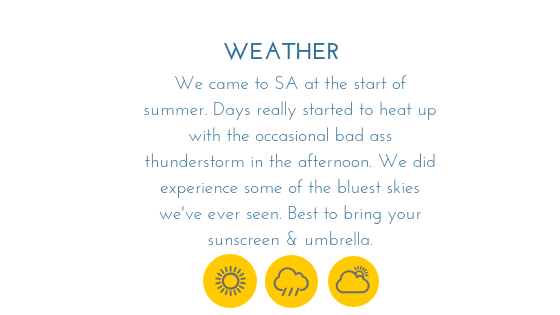 I usually don’t feel this way…until visiting the botanical gardens in Cape Town and meeting this ATM.